In 1999 Iron Maiden announced their reconciliation with long absent guitar player Adrian Smith as well as their quintessential frontman, Bruce Dickinson. After a greatest hits tour in support of the just released Ed Hunter PC game to whet fan's appetites for new material, the band entered the studio with producer Kevin Shirley to record the long awaited reunion album. The band was very tight lipped about all things relating to the recording, causing a frenzy among their rabid fanbase, desperate for any amount of detail about the upcoming release. During this time, a fan or several fans of the band concocted a story listing the reunion album's title, tracklist, and even the first single. This fake press release was treated as fact and picked up by music news outlets across the globe. Here's some information you might want to know. It comes from a very reliable source, who works at Sanctuary Management. I can't give his name because else he will probably be fired. 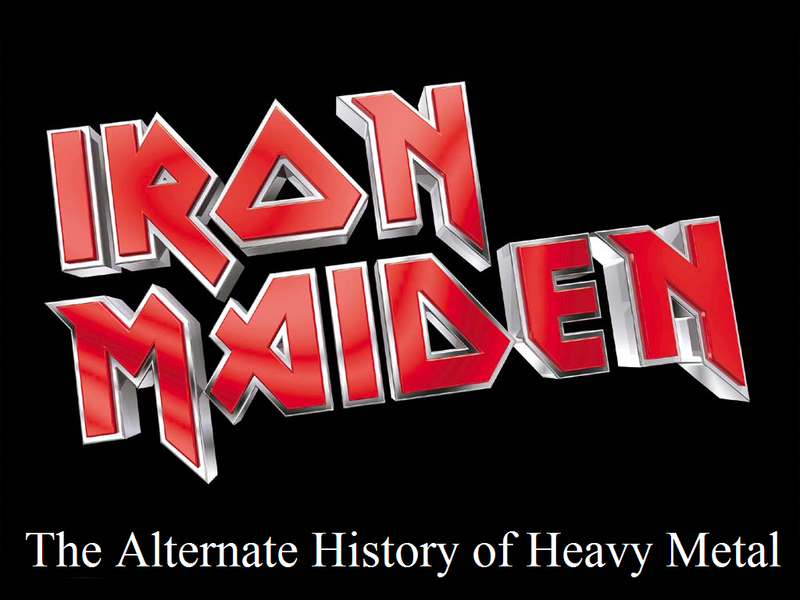 He has seen the tracklist and cover art, and heard Rod and Maiden talk about the first single. The album title will be "Majesty of Gaia"
First single will be Heaven's Gate, which is, like Moonchild and Futureal, a pretty fast album opener. The albumcover will feature Derek Riggs' work, as will the single cover. However, the single cover will feature digital art (like Riggs did on Gamma Ray's Powerplant album), as opposed to the album cover which will be traditional painting. He didn't say much about what was on it, except that the digital Eddie made by Riggs looked impressive. better than the one from Synthetic Dymensions. Planned release is end of May, with the first single, Heaven's Gate, released in the last week of April or first week of May. Speculation as to what these 10 songs would sound like was rampant. How many epics would appear on the album? Will it be a concept album? Who do you think has writing credits on each track? These questions and many similar were debated endlessly on various message boards. Not too long after this information made the rounds the band would announce that their new album would in fact be titled "Brave New World" after the song of the same name, inspired by the Aldous Huxley novel of the same name. The band would also release the tracklist and identify the first single, The Wicker Man. Upon its May 29th, 2010 release the album would go on to achieve acclaim from the metal community as a return to form and convert a new generation of people into Maiden fans. Over a decade after Brave New World's release many have happily forgotten the excitement over the never realized Majesty of Gaia.